What messages are you filling your head & heart with? 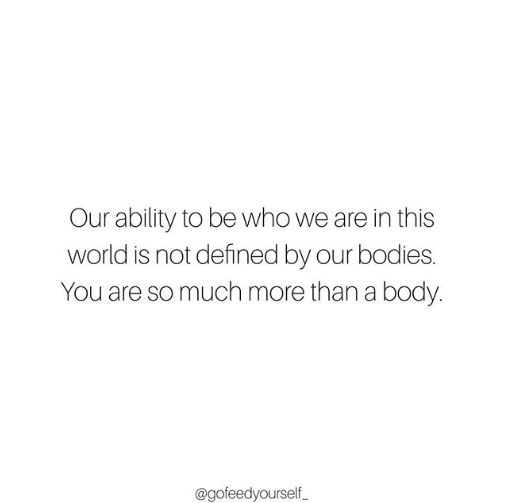 I had a wonderful discussion with a friend last week entered around body image, how we feel in our bodies, and the ways that social media influence these things. How many times have you scrolled through your Instagram feed, only to leave feeling like you aren’t good enough, aren’t ‘small’ enough, are ugly, need to exercise more, eat ‘better’, or even that you just aren’t worthy. Why am I following this profile? How does the content shared on this profile make me feel? Is following them serving me in a good way more than it is doing me harm? Unfollow any profiles with posts that make you feel unhappy. If you need to, take some time off of social media as well and rather spend your hours doing something that fills you up, whether that’s a walk outdoors, taking a nap, or spending time with a good friend. Next, choose to follow profiles that share good, healthy messages instead so that you can start to fill yourself with things that leave you feeling uplifted, confident, and encouraged. 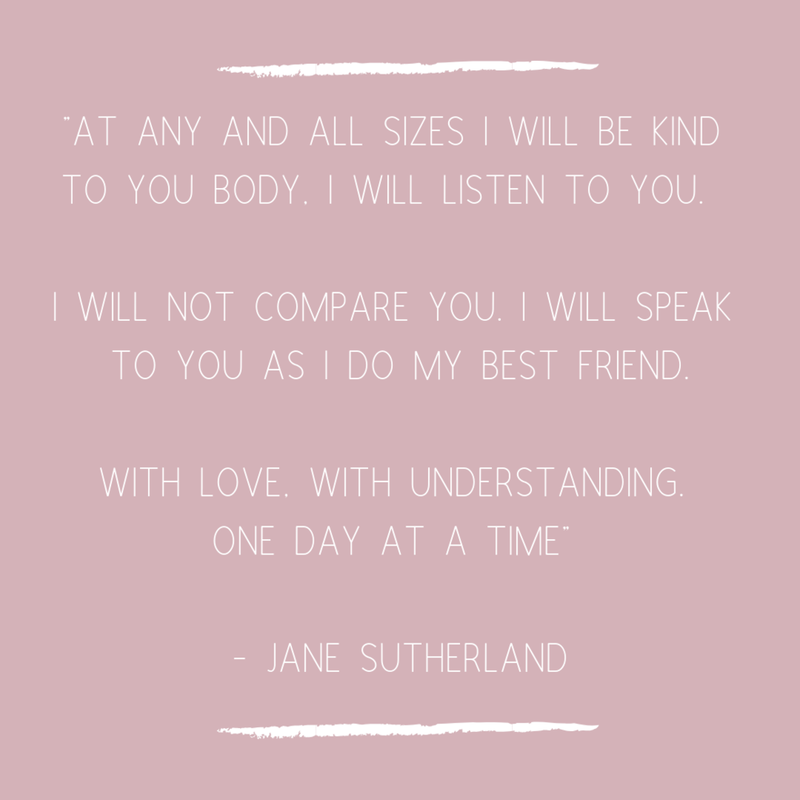 The world of social media is filled with a lot of rubbish, including messages that make you feel inadequate, not good enough, and just plain anxious. 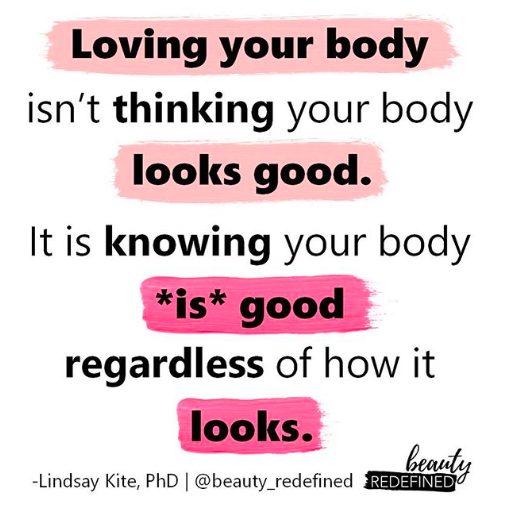 Whilst this is true, there are also some amazing voices out there sharing messages surrounding things like intuitive eating, positive body image, calling out diet culture, and more. In an effort to promote more encouraging messages, I put together this post including 10 quotes shared by some of the inspiring people that I have encountered through social media (if you aren’t following them on Instagram yet, make sure that you start today). Read each of these out loud, speak them over yourself, share them with others, and take what they say to heart. Let them encourage you, lift you up on bad days, and push you to move forward with confidence knowing that you are good enough!